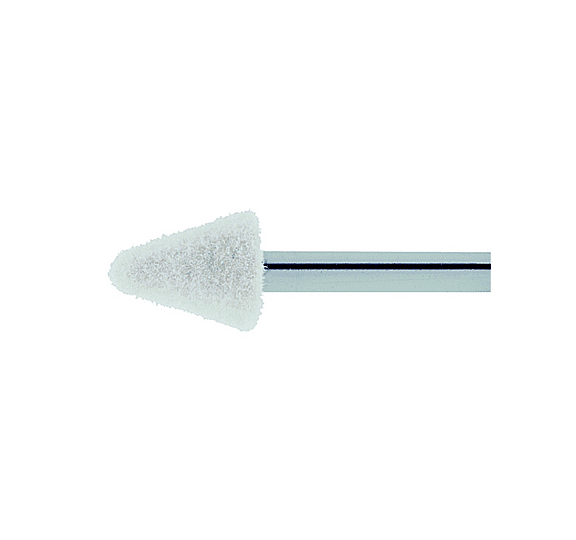 Felt polishing pins FAPI-FILZ are made of high-quality hard pressed wool felt. High edge stability and effectiveness of the felt polishing pen are achieved by the hardness and density of the felt polishing body. Our felt polishing pins, which have excellent elasticity, are used especially for complicated shapes or in areas that are very difficult to access, such as corners, edges and angles. To achieve an optimum surface finish, diamond paste is often used together with particularly hard felt polishing pens. The optimal cutting speed of our felt polishing pins FAPI-FILZ is in a range of 5 to 10 m/s.